The volunteer singers who comprise San Jose Symphonic Choir are committed to the power of music to transform lives and awaken in others a passion for music. SJSC’s repertoire contains some of the most dramatic and treasured music ever presented, and our choir sings with skill and heart. This is our essence: beautiful music, performed for you by your neighbors. Ticket sales cover only a portion of SJSC’s costs. In order to continue to present glorious choral music, accompanied by talented orchestras and exceptional soloists, we need gifts from generous music lovers like you. Your contribution is absolutely critical to our existence. Many employers match their employees’ donations to increase the value of the gift. Please check with your company’s Giving, Community Outreach, or Human Resource Department to see if your gift will qualify. Use the lookup tool below to see if your company matches employees’ donations. Every eligible purchase you make on Amazon Smile and eScrip results in a donation to SJSC. Your select charity can be changed under “Your Account”. To shop at Amazon Smile, click on the icon below, and log in with your existing Amazon username and password. Make an ongoing monthly donation to San Jose Symphonic Choir. Your sustaining monthly support continues uninterrupted for as long as you wish, reducing costs while eliminating paper and waste. Click the button below, and in the new browser window, click DONATE NOW. Click Recurring to have your credit card charged monthly. Your advertisement in our event programs will reach an intelligent, affluent audience of music lovers. Your company name will be added to our website as a sponsor. Call (408) 995-3318 to arrange for your ad in our program. 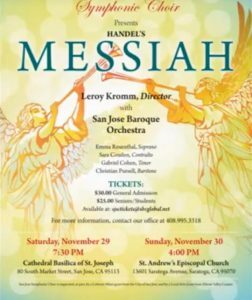 Planned Giving: By including San Jose Symphonic Choir in your estate planning, you ensure that choral masterworks will continue to be performed in San Jose. Memorial Giving: A donation to San Jose Symphonic Choir in the name of someone who has passed is a way to support the values of that special person. 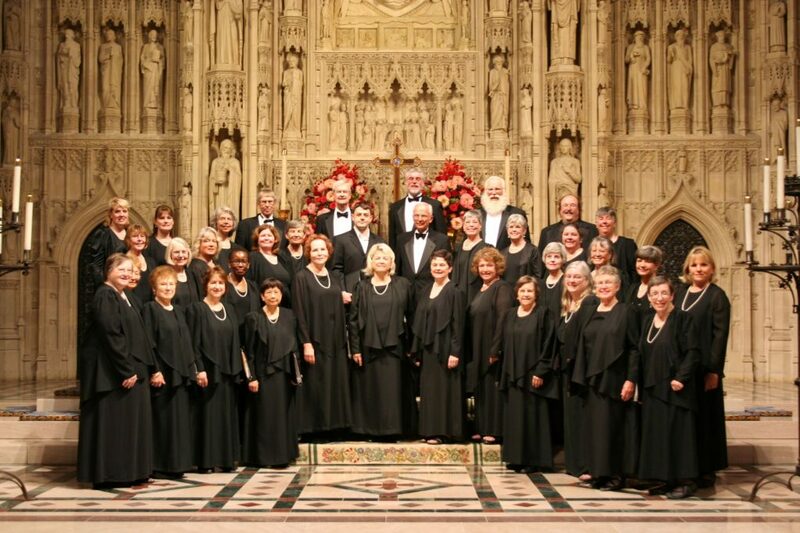 "In 2002, we were invited to perform with George Cleve at Grace Cathedral in San Francisco. The piece was the Mozart Requiem, and it was done on September 11, in honor of the one year anniversary. The cathedral was full, and at the end, there was absolute silence for several minutes. I got goose bumps, as it was so meaningful to the audience. Then they burst into applause which lasted for some time. This is what music can do."